Pac-12 Burning Questions: Can Stephen Thompson Jr. Make the Leap? It has been a weird offseason for Oregon State. If you were looking ahead at the team’s prospects for this upcoming season last March, the future looked very bright even if do-everything guard Gary Payton II was graduating. But Payton’s heir apparent, combo guard Derrick Bruce, transferred out of the program in April followed by steady senior Malcom Duvivier leaving the program for personal reasons in September. 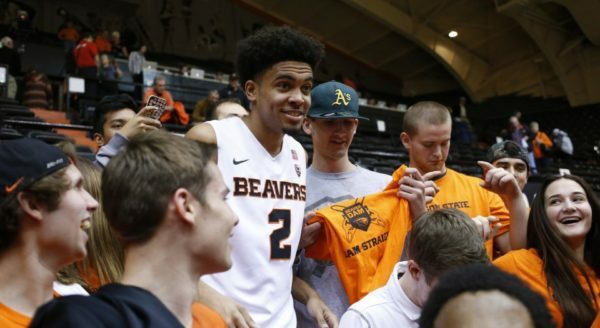 These departures suddenly left the Beavers’ backcourt without most of its depth and experience, isolating sophomore Stephen Thompson Jr. as the lone returnee with any on-court experience. Yet Wayne Tinkle and Beavers’ fans are still bullish on their team’s potential this season, with Thompson being the biggest reason why. The son of former Syracuse great Stephen Thompson, the younger Thompson was the crown jewel of Tinkle’s touted 2015 recruiting class that may already be one of the best in program history. At times last season, he lived up that billing, scoring 18 points in a home win against Washington and dropping 23 in a crucial road win against UCLA two weeks later. At other times, he looked like a trigger-happy freshman who struggled to find his offensive rhythm — especially in the half-court. His inconsistency was understandable from an experience perspective, but it was also driven by Payton II dominating most of the team’s offensive possessions. This year Thompson will become the focal point of Oregon State’s perimeter offense and that means the team won’t be able to weather his shooting slumps quite as easily. I suppose it’s not a comfort that’s befallen me so much as an acceptance. I first recognized the Pac-12’s general ineptitude as I found myself unaware of game schedules, player success (or otherwise) and disinterest in the whole thing. Let’s also be serious that I was still paying attention. Close attention. And I still want to. After all, we’re not at 2012 levels where just three players wound up drafted and Jorge Gutierrez was the conference Player of the Year. Washington was not invited to dance despite winning the regular season title. This is a story lead that could last forever. Alas, we’re not there but we have the excuse to excuse the rest of this season. It’s more than likely that your team is fighting for a three lettered tournament, at best. What’s there to support? What’s there to watch? 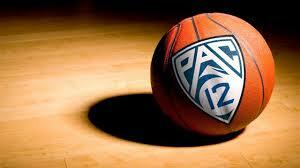 The Pac-12 has hosted the highest percentage of in-conference blowouts. Where’s the intrigue? Let me tell you. 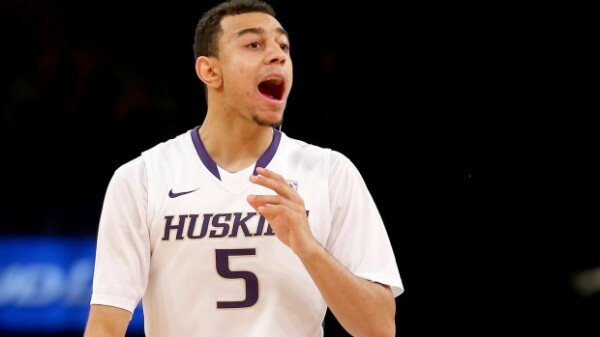 Pac-12 Basketball: It’s Grrr-… Well, It’s Okay. 1. Byes. Not Byes as in “saying goodbye to the 2015 season,” but rather, who among the muck will rise to finish in the third and fourth slots? The top-four seeds receive a Wednesday bye in Las Vegas. Have you ever tried to stay four nights in Vegas? Near impossible. You want the bye. So who’s in the running? The primary candidates are Oregon and Stanford (we’re ignoring Arizona and Utah, as they’re essentially locked in). The Ducks collected a big last-second win on Wednesday, improving to 6-4 in conference play. The rest of their schedule is road heavy but doesn’t include any more games against Arizona and they’ll host Utah. The team ahead of Oregon in the standings, Stanford, had seemed to be a lock to finish in the top three, but after a loss to Washington State I’m not so sure. Oh, then they lost at home to UCLA, a team which is now knocking on the bye door. This is usually the part where we note the wildcard teams, but then I’d be laying out a power rankings of unpowerful teams. Right now, there is a four-way tie for third. In all honesty, keep an eye on Arizona State and ignore USC. The Pac-12 microsite will preview each of its league teams over the next few weeks, continuing today with Oregon State. Strengths. Well. Um. Geez. Yikes. Can I pass? Do I get a pass? Look, we’re not here to tear down kids or rip coaches or make fun of programs, and certainly, at some point, this Oregon State team will have something that is a relative strength. But, goodness gracious sakes alive, there probably aren’t many people outside of new head coach Wayne Tinkle and his staff who have a good idea what that strength might be. 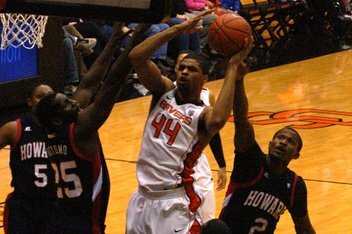 The most experienced player on this roster – junior Langston Morris-Walker – had career highs of 18 minutes and four points per game last season. The most anticipated new recruit is a JuCo guard (Gary Payton II) most famous for being the son of an NBA Hall of Famer. But in a way maybe that newness will turn out to be the strength of this edition of the Beavers. Gone are bad habits and underachieving and questions about the direction of the previous coaching staff. Now this roster – from the head coach on down – is filled with guys looking to prove that they belong. Weaknesses. Many. Pick one. Their top two big guys (junior Daniel Gomis, sophomore Cheikh N’Diaye, and junior Justin Stangel) are most accurately described as “raw offensively.” They’ve got a handful of wings with experience, none of whom have shown the ability to create for themselves and few of whom have shown an ability to handle their defensive assignments. The point guard spot will be held down by either Payton — who is still a work-in-progress perhaps best suited for the off-guard spot — or Malcolm Duvivier, who may be best suited to be a running back. Really, this season is just a building block for the future of the program, giving all of these guys a chance to show whether they can be a part of the second block in the foundation next season. It was a busy Pac-12 weekend around the conference. Here are some thoughts on each of the weekend’s five games. It was a game that largely lived up to the hype, with both teams looking good for long stretches. But over the last 10 minutes of the game, it was – get this – Colorado’s guard play that was the deciding factor in the game. It was supposed to be the undefeated Ducks with the bevy of play-making guards that had the advantage on the perimeter, while the Buffaloes were going to need to take advantage of a weak Oregon frontcourt in order to win this game at home. Instead, over the final quarter of the game, Askia Booker and Spencer Dinwiddie combined for 25 of Colorado’s 39 points, sophomore guard Xavier Talton chipped in six more, and Jaron Hopkins was the guy to get everything started with a three off a Dinwiddie dime. All told, the five Colorado guards outscored Oregon’s by a total of 66-52. Meanwhile up front the Ducks were just okay against that tough Colorado frontcourt. On the offensive end, they were great, grabbing better than 41 percent of their own misses and getting a terrific 24-point performance out of Mike Moser. But the bigger concern is their ability to defend on the interior, and here they were exposed a bit, allowing Colorado to grab better than 46 percent of their misses, leading to lots of easy putbacks for the Buffs. Oregon’s guards are going to keep them in a lot of games, but they need to clean up their frontcourt issues in order to reach their potential. For some of the surprises in this game, the most expected angle proved completely true: Colorado is going to be really, really tough at home. With a strong seven-man rotation plus a couple other guys ready to provide spot minutes, the Buffs are deep, athletic, big, strong and – most importantly – good. And the Coors Events Center is a great homecourt advatange. KenPom.com has the Buffs expected to win their next six games at home by an average of just under 10 points per game, but that only takes us to February 22 when they’ll host Arizona in their last home game of the season. Right now that KenPom projection is Arizona, 68-65, but in what could be Dinwiddie’s final home game, the early inclination is to lean Buffs. Not that trying to project a game seven weeks out is good practice. Strengths. Oregon State boasts one of the finest frontcourts in the conference. Starting the group off is senior Devon Collier, a strong small forward who can score either driving to the hoop or with a nifty little jumper. Senior center Angus Brandt missed the majority of last season after tearing his ACL in the fourth game of the year, and his ability to score from both inside and behind the arc took away a big threat from that team. Finally, there’s Eric Moreland. Moreland’s career in Corvallis has been an up-and-down one, including two “violation of team rules” suspensions in the past 10 months and a declaration for the NBA Draft (which he later pulled out of and decided to return). Now he is serving that second suspension and will miss the first 14 games of the 2013-14 campaign, but will provide a monster boost on both the glass and the defensive end of the court when he returns. Weaknesses. This team has very little experience on the bench. 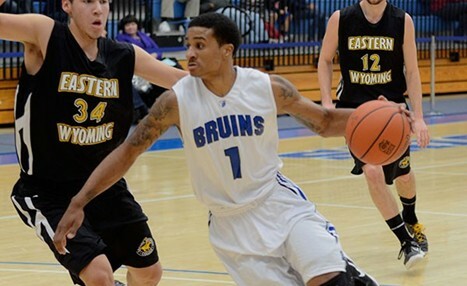 The backup point guard is Malcolm Duvivier, a true freshman who was originally in the Class of 2014 but reclassified to join the team immediately. Backing up Roberto Nelson at the two will be the newcomer that Beaver fans should be most excited about, Hallice Cooke out of St. Anthony High School (NY). And the best option to spell Brandt will be sophomore Olaf Schaftenaar, who shot a completely unnecessary amount of three-pointers his initial season in Corvallis, and at a 30.9% clip to boot. Non-Conference Tests. A trip to College Park to face Maryland awaits Craig Robinson’s team just seven days after its season opener. DePaul isn’t exactly a “test,” but the Blue Demons present a challenge at home against the Beavers on December 1. The toughest stretch comes in the four games before Christmas break, beginning with a visit from Towson, a team that came from 19 down last year at Gill Coliseum to top the Beavers in overtime. After that they head to the Islands to face Akron in their Diamond Head Classic opener. Either Iowa State or George Mason will be on tap in the second game, and a solid group of choices, headlined by Saint Mary’s, are in play for the Christmas Day finale.